“Villa Asih” Batubulan (which translates as “VILLA LOVE“) can be found in a small city named Batubulan. Batubulan is located about 7km north-east of Sanur, close to the east coast. Batubulan is a very fast growing city, situated directly at the by-pass road, allowing travelers to reach all important destinations with a short drive. The by-pass road is one of the very few roads in Bali which has 4 wide lanes. Sanur with his nice sandy beaches can be reached by car in 10 min, Kuta with its exorbitant nightlife in 25 min (distance of about 20 km), Ubud the famous cultural city in about 20min (about 18 km distant), Sukawati the city of art and handicraft in 10min (about 7 km distant). Using a motorcycle will reduce the driving times considerably. For example, the time needed to reach Kuta or Seminyak from Batubulan is even shorter than from Cangu to Kuta or Seminyak. “Villa Asih“ is a 2 (+1) bedroom residence, suitable for a single family or a small group of travelers (up to 6 persons) who want to enjoy the total privacy of a luxury accommodation but who also want to benefit from the opportunity to experience all of Bali at any time. 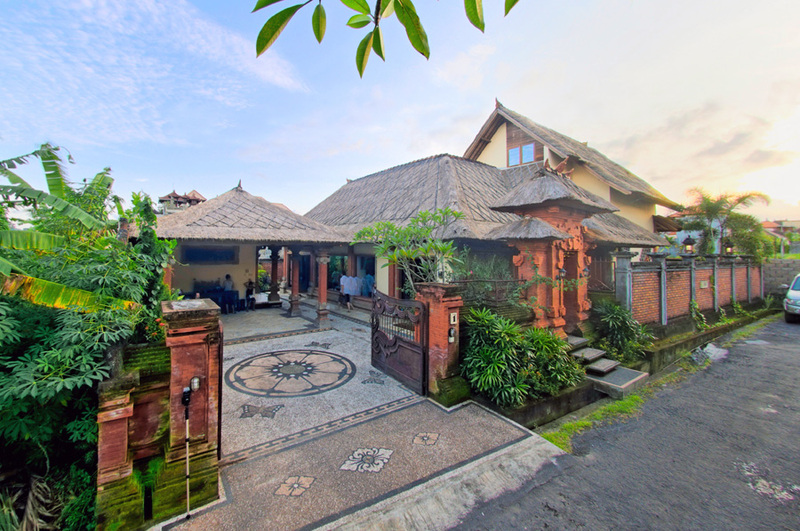 Enjoy this luxury Bali villa; away from the tourist centers and relax in the sanctuary of your own Eden. Two western style bathrooms (one with bathtub). Personal office with computer and printer (can also be used as a bedroom). Maids room with attached bathroom behind garage. All bedrooms with remote air-conditioning.